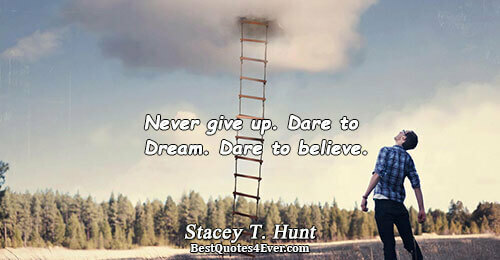 Stacey T. Hunt: Never give up. Dare to Dream. Dare to believe.